For a journey or a holiday to be remembered, it must be characterized by new and authentic life experiences. This is why we have always tried to give extra importance to a simple weekend away from home, suggesting experiences which involve the senses as well as the spirit. We enjoy being able to satisfy wishes and requests, proposing different types of holiday as well as spa weekends, romantic weekends, holidays to recharge the batteries or to relax but also to be adventurous and have fun. The romantic setting of Bagno Vignoni will be the background of one of the most important days of your life: your wedding. 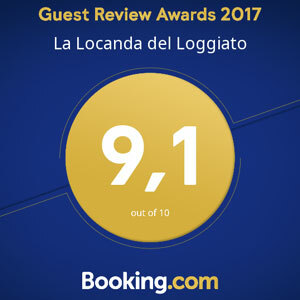 The Locanda del Loggiato give you its magical location, offering a full-service wedding planner. Write us and we will plan an unforgettable day together. In fine weather it is possible to bathe in the natural pools in Bagno Vignoni. We can recommend the wildest and least used places with breathtaking views of the surrounding scenery. It’s also possible to swim in the thermal swimming pool which is open every day except Thursday from 10.00am – 5.00pm. Staying with us at the Locanda also allows you special rates for the spa treatments in Bagno Vignoni. We offer free use of towels and swimming hats for the thermal swimming pool. Come walking with us along the footpaths of the Val d’Orcia, you will discover the beautiful surrounding countryside and visit famous medieval villages with breathtaking views and some of the best walks in Tuscany. You will be able to explore places which aren’t so well known along with the nature and traditions of the area with an expert guide by your side. The excellent local produce allows us to organize a wide variety of food and wine tours according to the requests of our guests. We can guide you on your discovery of great Tuscan wines as we are close to both Montalcino and Montepulciano, famous for their Sangiovese vines which are used in the production of both Brunello di Montalcino and Vino Nobile di Montepulciano. You will be able to taste the excellent Tuscan Extra-virgin olive oil, cured meat and Pecorino cheese from Pienza direct from their local producers. Not the usual Tuscany but glimpses and scenes chosen for you. We organize tours to the most photographed views in the province of Siena and the Val d’Orcia as well as going to some more out of the way places to get some less obvious shots. You don’t need to be a professional photographer you just need to have a passion for taking that memorable photo while on holiday. Flying in a hot-air balloon is an incredible experience, why not experience it over the magnificent Tuscan landscape near Siena. We can organize fantastic tours for you to discover the magic of flying in a balloon and to experience Siena and the surrounding countryside from a different perspective. We organize on request Tuscan cookery courses and in particular you can learn how to make Tuscan biscuits, cakes and tarts for you to take away at the end of the lesson. It is possible to organize yoga lessons, both individually and in groups for all our guests at the Locanda. Our guests will be able to begin a journey dedicated to meditation and relaxation in contact with nature and local traditions. For a holiday dedicated to inner peace and well being. Pedal through the Tuscan hills with breathtaking views, medieval villages and unforgettable landscapes which will make your stay in the Val d’Orcia memorable for years to come. We organize cycling tours tailor-made for you with different levels of difficulty for novices as well as experts. Among the various activities that you can try during your stay in Val d’Orcia is climbing, with or without a guide and at different levels of difficulty. We can suggest the most suitable places in the area around Mount Amiata which offers many possibilities for free climbing in silence, surrounded by nature. Not far from Bagno Vignoni there are rope adventure courses totally immersed in nature, they are a mix of sport, nature and fun. They are suitable for both children and adults because there are different routes designed for different ages and abilities. Ride along the paths of the Val d’Orcia! We can recommend the closest stables which will guarantee safety and professionalism. They will take you to discover the most characteristic villages in the area. Thermal bath under the stars, biosauna, prosecco and overnight stay in one of the romantic rooms with our breakfast.